Below are members of the current JCR Committee. Members of the previous JCR Committees are listed here. Cam is the head of the JCR and the DCAC and is responsible for taking your views to college. He sits on the Governing Body alongside the fellowship, as well as subcommittees such as the General Purposes Committee, Buildings and Environment Committee, Health and Safety on the Domus Committee, Education Committee and Development Committee. He attends CUSU Council with the Vice-President to listen to and vote on issues for the benefit of college. Cam will be involved in overseeing the rent banding and the room allocation in next year's ballot. Additionally, he runs the booking of the JCR facilities. 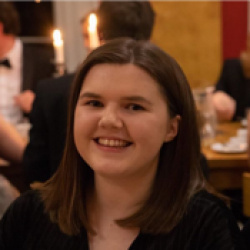 Cam is responsible for overseeing the rest of the committee and ensuring that everyone keeps up-to-date with tasks, largely through organising JCR Committee and Senior Officer meetings. If you ever need to contact him, he is very responsive to e-mails and will do his best to help you directly or guide you to the right place. 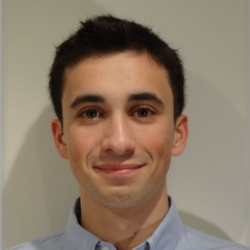 Barney organises JCR open meetings, as well as the agendas for JCR committee meetings. Barney also oversees important issues to do with accommodations like rent banding and the room ballot Lent Term. Alongside Cam, he sits on CUSU Council to represent the views of Downing students to the university-wide students union. Barney also sits on the College's General Purposes Committee and Governing Body, with Cam, to represent your views to the College and negotiate policy changes where needed. He will also be organising two Superformals for second and third years each year. Dan oversees the JCR budget, and is responsible for allocating money to sports teams and societies. She also keeps a check on JCR spending in other areas such as Ents and general Officers expenses. The budget is produced annually and presented to a DCAC (MCR and JCR) Open Meeting, and Dan also presents a mid-year financial report to the college. Kimberley is your point of contact for any academic problems, issues or queries. Whether it's a problem with the work you've been set, your supervisions, you want to change course, you've been ill, the exams seem too great a hurdle, or you've forgotten how to revise. She can offer advice or direct you to someone who is better equipped to deal with the problem. Even in situations where you don't get on with your tutor or DoS, she'd be happy to mediate if needed or if this is your preferred choice. Feel free to contact her, even if just to rant about academic stress. 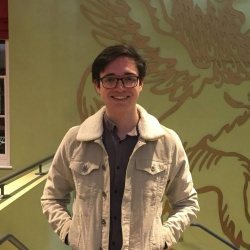 Kimberley sits on the Education Committee, giving the student body a say in the decisions regarding the provisions for education in the college, and he is also responsible for representing the JCR's views on the College Library. It is also part of the Academic Affairs Officer's job to organise the college University Challenge team during Michaelmas term. Mateo and Priya will be responsible for the care of students' welfare in college, being a listening ear as well as providing services such as pregnancy testing, and liaising with CUSU on various welfare issues and campaigns. They will also be looking after the equal opportunities issues in College and working with the Equal Opportunities Committee. Together they will be promoting welfare awareness in College and organizing events, especially during exam term. All members of college can feel free to get in touch with Mateo or Priya about any problem - just send an email anytime to contact them confidentially. Zoe and Bry are your Women's Officers and are here to promote female representation and consciousness college-wide. They will be promoting female-oriented events and opportunities, but will be encouraging all males to get involved too. 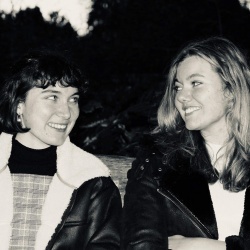 They will also be seeking to promote female sexual health and access to services, as well as encouraging women in college to get involved in wider female organisations. If there is any thing you feel we could do as a college on the point of female representation/welfare or the like, or you want to get involved in some uni-wide female events, do not hesitate to contact them! As Communications Officer, Matt has three main roles: to send weekly emails to Downing undergraduates with bulletins about upcoming events and opportunities going in Cambridge; to keep minutes in the JCR meetings and to make sure these are available to all undergraduates; to oversee all JCR communication, which includes ensuring frequent and easily accessible contact between college students, college administration, and the JCR. 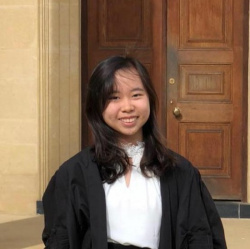 Yan Qi is the first port of call for any questions, complaints or suggestions you have regarding any aspect of the services provided by the college or JCR. She looks after the gym, laundries and TV room as well as overseeing areas such as catering and maintenance. To get in touch about any services related problems there are feedback forms available on this site or alternatively please send Yan Qi an email! Ollie and Ewan are in charge of Downing Ents and organise each term’s ents and the summer garden party. 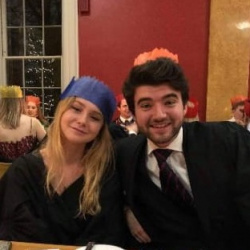 They work together with the JCR and the Ents sub-committee to help make Downing’s social calendar as lively as possible. From the party room to the hall and the MCR, Downing has a range of Ents throughout the year. If you need to book the party room, have a question about Ents or want to get involved - get in contact! Jay and Saachi's main role is to represent the LGBTQ+ community (for lesbian, gay, bisexual, transgender and other sexual/gender minorities) within college. 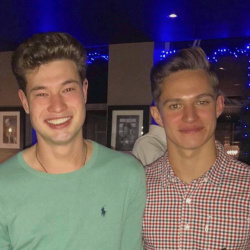 They provide confidential support for anyone going through LGBTQ+ issues in Downing, host events within college, and organise socials to strengthen LGBTQ+ community between colleges. They work to maintain and improve upon Downing's image as an LGBTQ+ friendly college, as well as providing a link to the university-wide LGBTQ+ community. There is a college LGBT+ mailing list that anyone can sign up to (click here and then search 'dow-lgbt'). Only Jay and Saachi have access to the full list of users, to ensure confidentiality. Access is about dispelling myths about applying to and coming to Cambridge, encouraging those who might not consider Cambridge to apply, and presenting Downing to anyone who comes to see it. It’s also about making sure that students from underrepresented backgrounds feel their voice is heard when they’re at Cambridge. 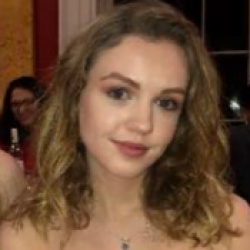 Sophie works with the full time college School and College Liaison Officer and the JCR to develop college schemes. 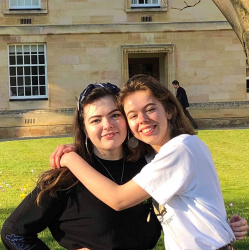 They aim to increase the participation of Downing's undergraduates in access schemes, encouraging visits to schools and writing blogs about different aspects of life at Cambridge for the Discover Downing site. They also work on University-wide schemes, in particular the CUSU Shadowing Scheme. If you have any access related questions, just drop them an email. Similarly, if you’re a current student worried about finances or generally fitting in to college, they'll be more than happy to back you and point you to places where you could find help. Further information about applying can be accessed from the CUSU website as well as the Discover Downing website. Martha and Jake are responsible for promoting green issues in college. They work with the JCR and college to advise on environmental issues such as recycling and in building construction, also liaising with CUSU Green to promote their campaigns in Downing. They also promote ethical and social justice campaigns, and checks that JCR policies are Green and Friendly! Ffion and Sophie edit the college magazine, the Griffin. 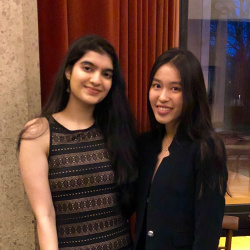 Gauhrishi and Nat are excited to represent the Downing international community. They are more than willing to lend a listening ear to the problems faced by the international students in Downing, as well as promote the concerns of the international community to the JCR Committee, CUSU International, and the College in general. They also enhance integration between international students and the wider Downing community, paying particular interest to international freshers. Their additional responsibilities are to organise social events with internationals from different colleges and arrange international storage facilities. 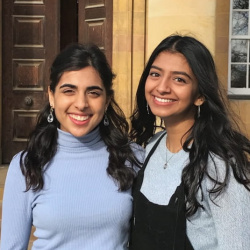 Shaan and Jai are responsible for everything from representing the views and concerns of Downing’s ethnic minority students at JCR meetings, to liasing with the JCR’s access, international and equal opportunities officers. They provides a link to university-wide cultural events, and are always willing to give advice and lend a listening ear to any member of college. If you have any concerns or questions, please feel free to email them. 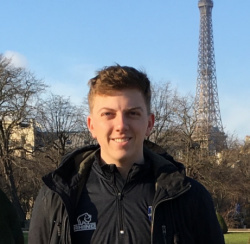 Daniel looks after all things sporty in college and acts as a point of reference for any sporting queries. Check your email every Monday morning in term time for a comprehensive breakdown of the college sporting results from that week from him. He also keeps the sports store in P cellar in good shape, liaises with college and looks after gym-issues with the Services Officer. 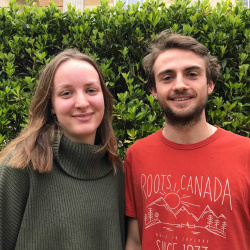 Scarlett and Fraser head the Freshers' Committee that organises one of Cambridge's most popular and successful Freshers' Weeks. They liaise with college to plan and coordinate the week, and also help in dealing with any academic or welfare concerns arising from Downing's new arrivals. John is responsible for the JCR website. 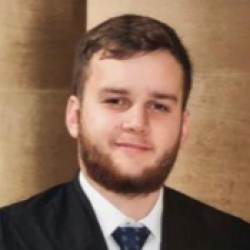 He is working to keep the content up-to-date and relevant, as well as to ensure that the site is an invaluable resource to all undergraduate members and prospective students. As Internet Officer, John is responsible for organising and running online elections and the important yearly room ballot. If there is anything you would like added to the site, or you have a comment to make - get in touch!